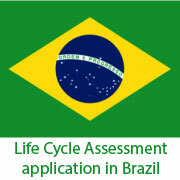 Our November/December 2015 edition of LC Net invited readers to take part in a survey conducted by Wladmir Motta (coach for UNEP / SETAC Life Cycle Initiative’s LCM CMM pilot projects) that sought to bring the best LCA practices for application in Brazil. The thesis took into account that the life cycle methodologies and the possibility for eco-innovation generation are factors that contribute significantly to the reduction of environmental impacts resulting from the productive activities in Brazil. The main objective of the thesis was to answer the question: why is LCA still little known in Brazil, and what is needed to promote its dissemination and implementation? 106 respondents from 30 countries answered the survey, as well as 29 respondents from Brazilian LCA research groups. Briefly, the thesis had its result ruled in three stages: identify enabling conditions for use / implementation of LCA (a); investigate the understanding regarding the interrelationship between the LCA (b) and eco-innovation; and present and validate proposals for the effective use of the methodology in Brazil (c). Most important environmental impacts were scorers impacts related to carbon footprint, energy consumption and water consumption. b- Concerning the existing inter-relationship between LCA and eco-innovation, the relationship was perceived by 90.7% of international respondents and 96.3% of Brazilian respondents. It was found that LCA brings characteristics similar to eco-innovation processes, taking a considerable role in the transition to a more environmentally conscious and committed society, leading the paradigm shift to new production practices and through certifications to consumer practices. c- Finally the thesis proposes two ways to promote the effective LCA implementation in Brazilian companies, one based on the use of environmental labelling (type III) as a way to “pull” the use of LCA; the second proposal was the use of carbon footprint as a first step for LCA implementation (“pushing” companies to use LCA). Regarding environmental labelling, among international respondents, 81.7% said that environmental labelling could be a facilitator for the dissemination and implementation of the LCA. From the Brazilian respondents 76.9% had this perception (in Brazil there was a negative perception of the effective implementation of the environmental labelling in the short term). On the use of carbon footprint, 88.7% of international respondents believe that it is a facilitator for the dissemination and implementation of LCA and for the national respondents this percentage was 81.5%. Although 15.5% of international respondents indicate concerns regarding the use of carbon footprint, mentioning that its use could bring misunderstandings and simplifications to the use of LCA, it was proposed as a first step for the companies to start understanding the life cycle approach and to enable deployment of the LCA methodology fully and effectively. Since it is a methodology which is understood and recognized by the group of scientists and researchers of the subject, is more understood by the population, and to avoid a possible delay in the effective use of environmental labelling in Brazil, the use of carbon footprint has been identified by this study as a methodology that can contribute directly to the dispersion and effective use of LCA in Brazil, while underpinning the Brazilian objectives regarding the Sustainable Development goals (SDGs) and the COP 21 goals. For more information on the results, contact the project leader.